As ever, London always seems the place to be for all the fun events and latest goings on. 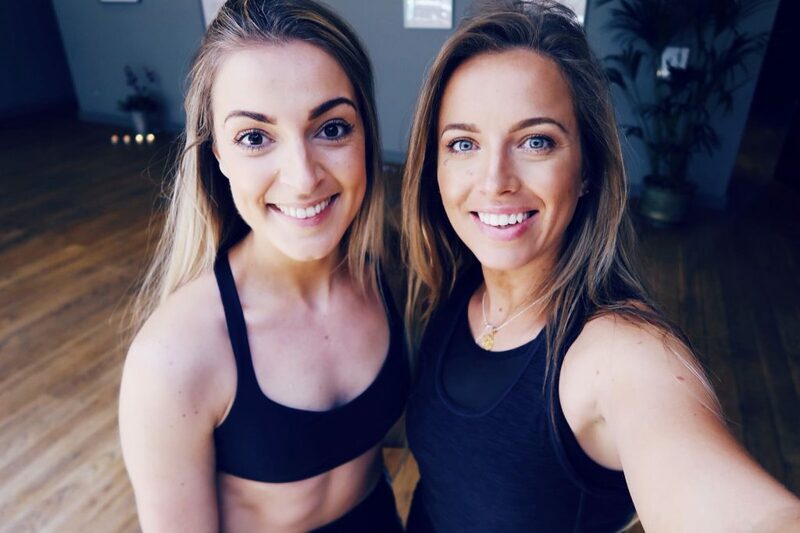 Frustrating as that may be, the fabulous Danielle, fellow blogger friend and founder of Kiht has thankfully, decided to take matters into her own hands by organising a series of fitness and brunch events around the wonderful city of Manchester. Us Northerners have a pretty active scene too! 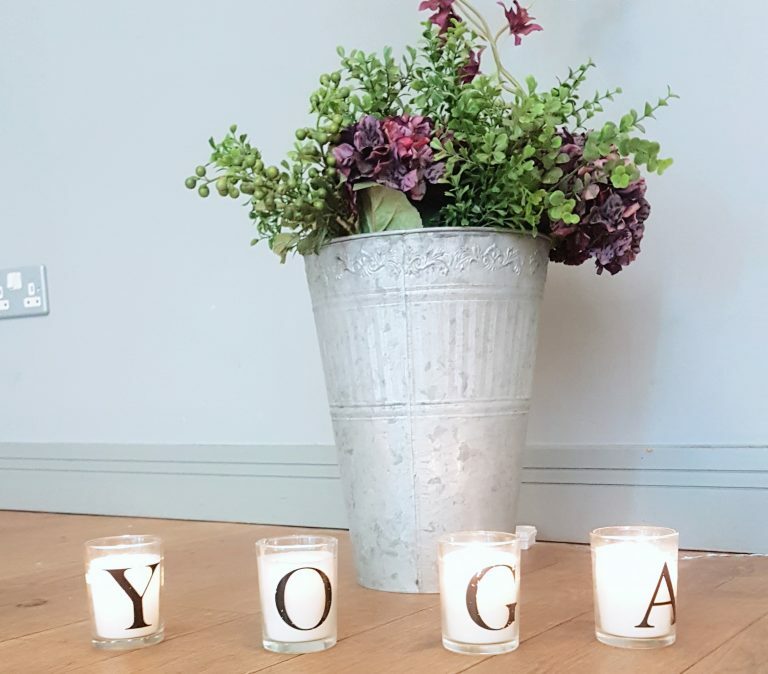 I was lucky enough to be invited along to KIHT’s first event – Yoga with Sarah Nutribloom and brunch at Leaf on Portland Street. 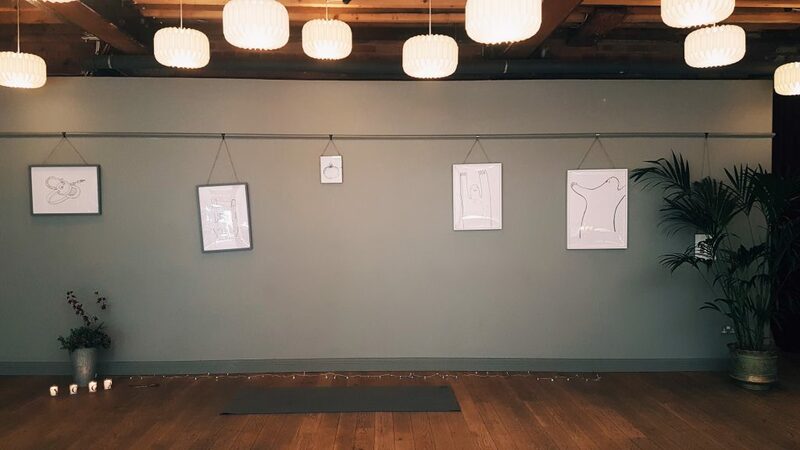 Though I have been to Leaf for brunch previously, this is my first time doing yoga believe it or not. I couldn’t have wished for a session to begin with though. In true Missy fashion, I of course arrived late and was panicking about missing the yoga (you know, like I did for the Gym & Juice event *eye roll*). Nonetheless I made it, only missing the first 15 mins or so. The session went really well. I can’t say it was exactly relaxing, it being my first time and I was trying to catch up/learn the moves but Sarah was so good at taking us through the routine slowly first, explaining each move and then linking them all together. I’ve seen so many instagram videos of people doing the most beautiful, elegantly linked yoga routines and always wanted to do it myself. Granted, it was probably no where near as elegant, fancy or sophisticated, after all it was my first time, Sarah took us through our very own Yoga Flow. 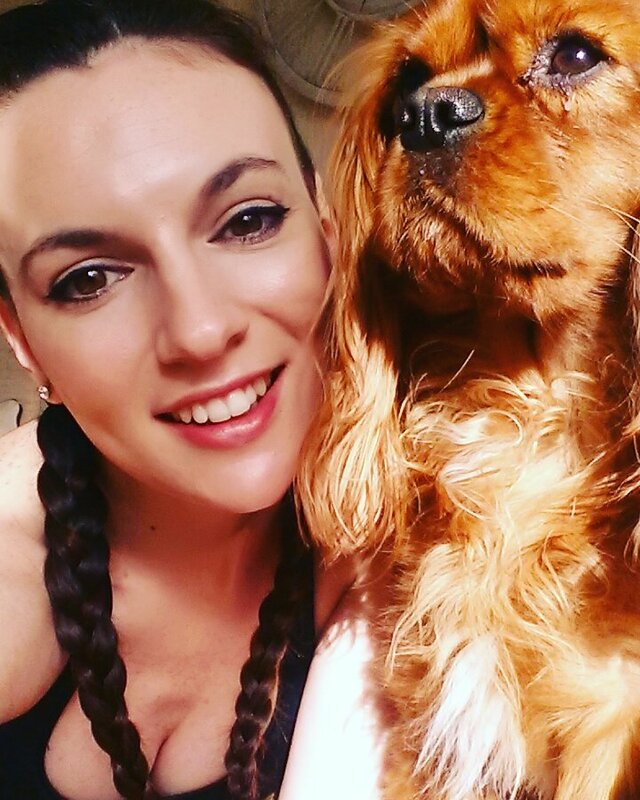 I do have a video which will soon enough be made into a YouTube video so, if you want to check that out my channel is ‘Missy T’. Little word to the wise though, if you are planning on doing a yoga flow definitely use a mat and definitely remove your socks before doing so. I struggled for about 15 minutes with trying to prevent my feet from slipping, then it finally dawned on me, take your socks off, dummy. Sarah’s voice is literally peerrrfect for Yoga, it’s so relaxing and her guidance was so easy to follow, despite there being a lot of new instructions and so many intricate little corrections to make sure you are performing each movement correctly (that by the way, is how you know you have a fabulous teacher – when they spend time correcting the little things) that it felt like there was too much to remember, I actually did come away having learned a couple of things. True what they say you know, every day is a school day. My favorite take away from the session, and you’re going to think this is really sad, was ‘the wheel’ which is basically a bridge in gymnastics. I just found it amusing that it’s called a wheel in Yoga. Sad. I told you. The session came to a relaxing stop and although, I did just say that I didn’t find the session overly relaxing, I was definitely much calmer at the end than at the beginning. Because who doesn’t love a good brunch?! 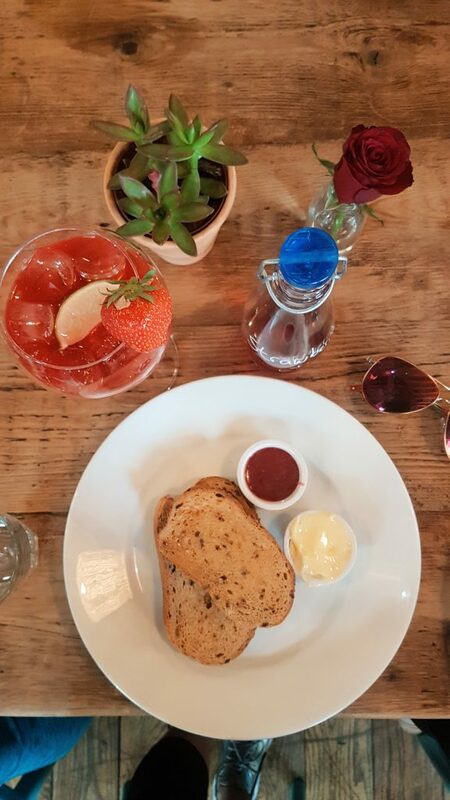 The Brunch Club and I have previously been to Leaf so, I knew what to expect in terms of food and it is lovely. However, today I just wasn’t feeling that hungry. Perhaps it was the beautiful weather. Does anyone else find that when its warm outside they don’t want to eat? 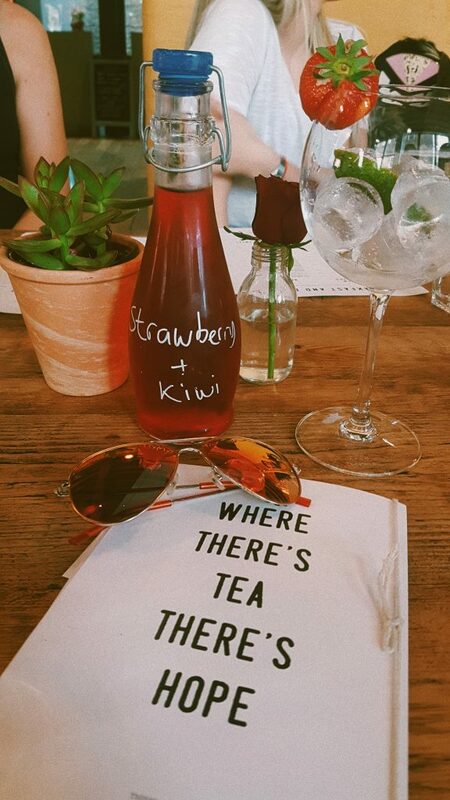 Instead, I opted for a simple Jam on Toast with some Strawberry & Kiwi Ice Tea – literally just what I fancied.Although, on the way out I did spot ‘Fairy Wings’ tea which I will have to try next time. Events with a social aspect are my favorite. 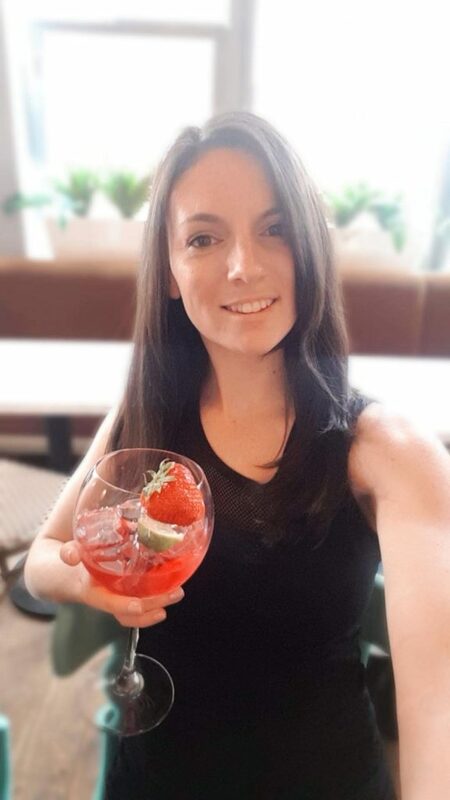 Some of the Manchester Bloggers and I have already formed a really strong friendship, all through blogging and attending events, so it’s so nice to not only sit and catch up with them but also meet other bloggers. I mean its not often you get to go out with a group of people who all want to rearrange the table and take pictures of the food before you even dream of eating it and not look at one another like your crazy! 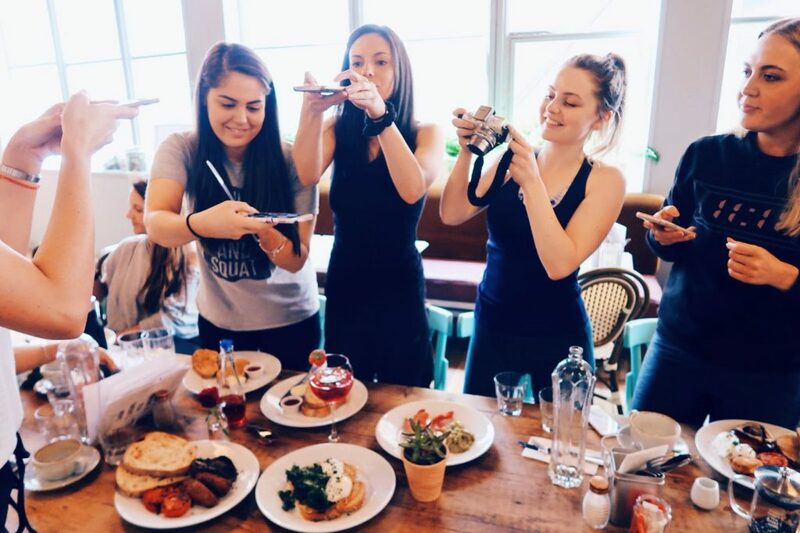 This is how bloggers do brunch! I would say the event was a huge success. It was so nice to be out, being active & social all at the same time. Thank you so much for hosting such a wonderful event Danielle & for inviting me. If anybody is interested, the next event will be at the end of June. A similar format – an activity followed by brunch. This time there will be a bit of a surprise which, I can’t wait to tell you all about. If you want to come along, head over to KIHT Collective and register your interest there or comment below and I will pass it over for you.